Ask fellow campers about "Union Grove State Park" and nearby attractions. Arrived very late and rolled out early. Small campground that's rather cozy for a state park, IMO. fairly level back-in site, campground is wooded. Never encountered the campground host. Park, and campground was easy to find in the dark. Only bad part was having to back-track so much from the highway when coming up from the south. 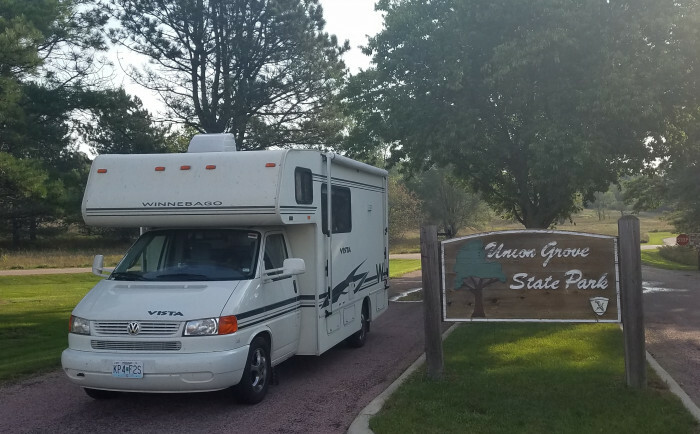 Just a quick stop on our way out west to Glacier NP.. We camped at Union Grove State Park in a Motorhome. This was a lovely park, wooded and shade trees. Level pull through site. Electric only, water hydrants for general use, not to hookup. If water hookups available would give the place a 10. Park attendants very friendly. There is a park entrance fee along with the camping fee. The bathrooms and showers were immaculate, large and very nice. Just a great place to stay. Good hiking trails right from the campground. When ever in South Dakota hard to beat their State Park campgrounds. 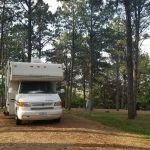 We camped at Union Grove State Park in a Travel Trailer. Wow! If I read some of these reviews I wouldn't stay here either. But I looked at some of the other campgrounds in the area and I felt VERY LUCKY to find this place. It was on my Garvin GPS. We are doing a construction project in the area and plan to be wherever we stay for 3 months or more. Having looked at these other parks the thought made me cringe. This park is very HOMEY! Something I appreciate. The internet is WiFi and BLAZING FAST! The fellow running the place actually used to work for one of the major internet providers. Both of these factors are very important to me as we submit our reports to the home office daily (as well as our pay vouchers) and I spend my entire time on the road with only phone calls home. The park is EXTREMELY SHADY! Very nice since just coming from Las Vegas where I had to BEG for a site with a tree to get out of the 115 degree heat. They have a clean pool. The showers are clean but this is NOT a luxury park, so if you spent more for your rig then I spent for my house than maybe you won't be comfortable here. (I have been to parks where ONLY 38+ft pushers over $400,000 are allowed and that isn't for me either.) Though there are some nice rigs here. And NONE are like the ones you find at the park up the road where they are full time, broke down rigs, flat tires, broken out windows, window air conditioners, etc. If you can appreciate this working class style park, then don't be put off by the older reviews. Come stay as the town seems nice. This is the only place for miles around with at least 2 nice family style restaurants, a Burger King and just about everything (no Wal-Mart) that you could expect from a nice small town in this part of the country. Enjoy yourself. Have a nice trip! 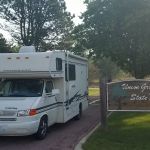 We camped at Union Grove State Park in a Travel Trailer. We came here in our 38 foot diesel pusher and had difficulty getting in. They really do need to prune some of their trees from the entrance and into the campground. Many of the sites were really poor. There was only one available site that would hold us. The park is beautiful and the employees just great. If you like geocaching there are many here. The electricity was spot on. I don't know if I would stay here again, however. 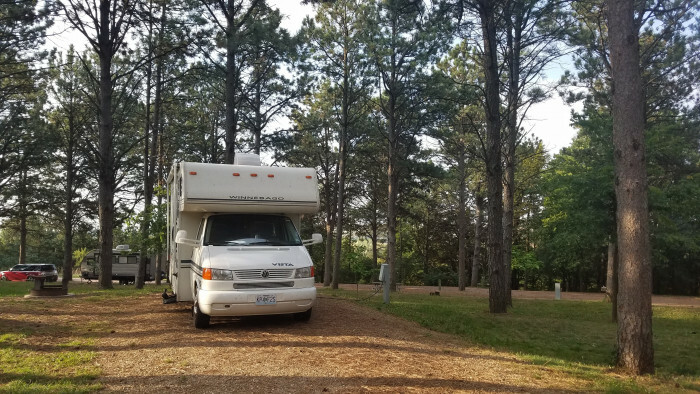 We camped at Union Grove State Park in a Motorhome. Are you affiliated with Union Grove State Park ?